Orbitance models come with the ability to use Virtual Reality as standard. The only equipment the user needs along with their smartphone is the VR goggles themselves. Our models are compatible with either Gear VR, Google Cardboard, or Google Daydream and most Apple or Android devices can be used with these googles. 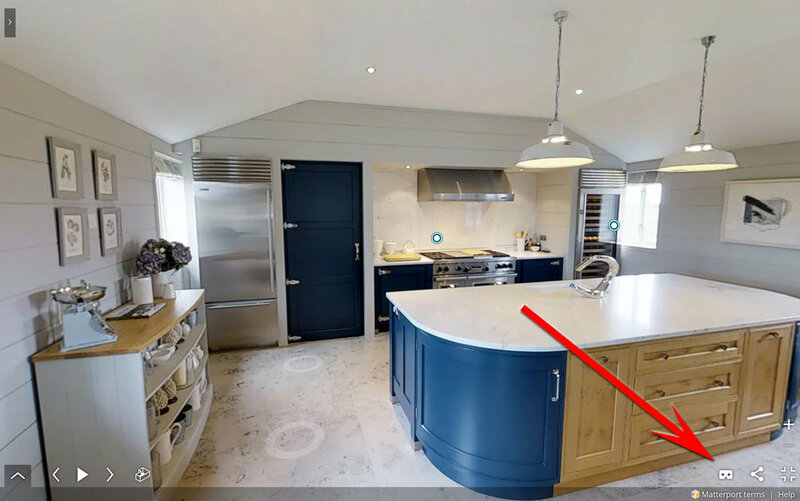 To access the VR function in the model, make sure you have downloaded the Matterport VR app (from the App store or Google Play), then open the 3D showcase on your phone. You will see the VR headset in the bottom right hand corner. Welcome to a fully immersive experience! Note: It is recommended to use iPhone 6s, 6s Plus or 7 Plus to get the best resolution in VR.